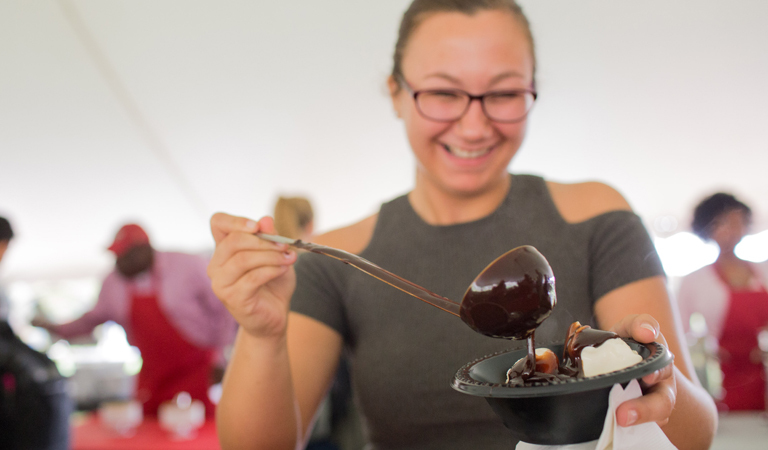 An IUPUI student enjoys ice cream at the 40th anniversary of the Ice Cream Social during the 2017 Weeks of Welcome. 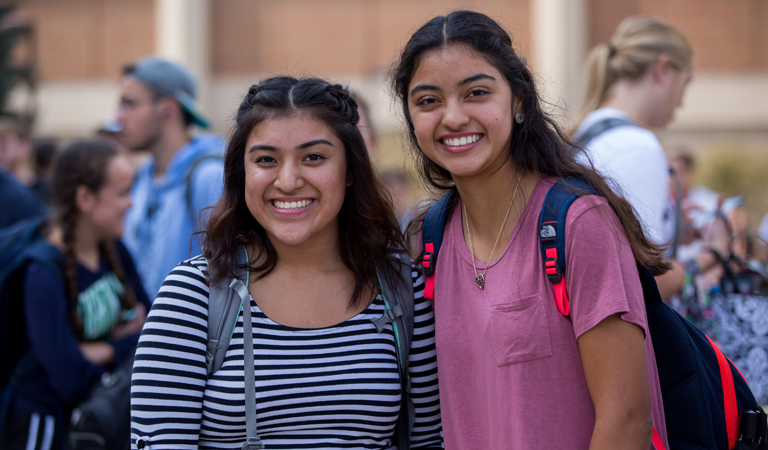 An IUPUI student enjoys ice cream at the Ice Cream Social during the 2017 Weeks of Welcome. 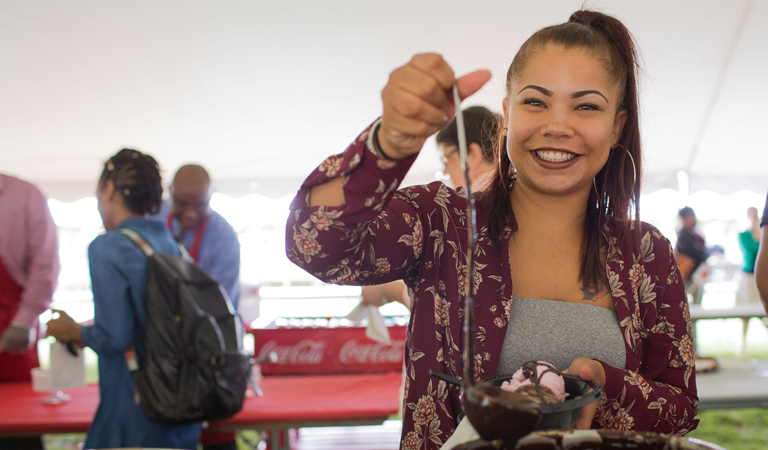 IUPUI faculty and staff serve ice cream to happy students at the 40th anniversary of the Ice Cream Social during the 2017 Weeks of Welcome. 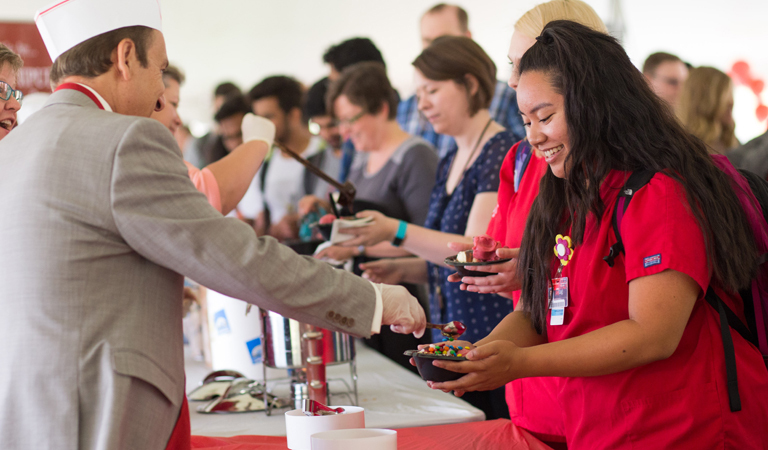 IUPUI Chancellor Nasser H. Paydar serves ice cream to happy students at the 40th anniversary of the Ice Cream Social during the 2017 Weeks of Welcome. 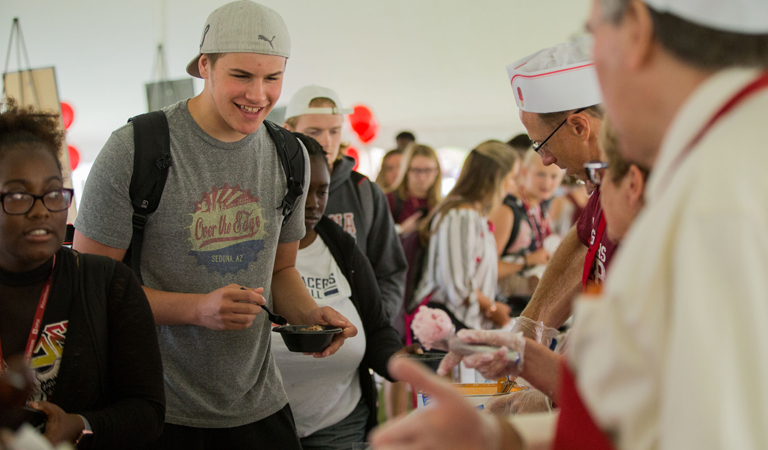 IUPUI Chancellor Paydar serves ice cream to happy students at the 40th anniversary of the Ice Cream Social during the 2017 Weeks of Welcome. 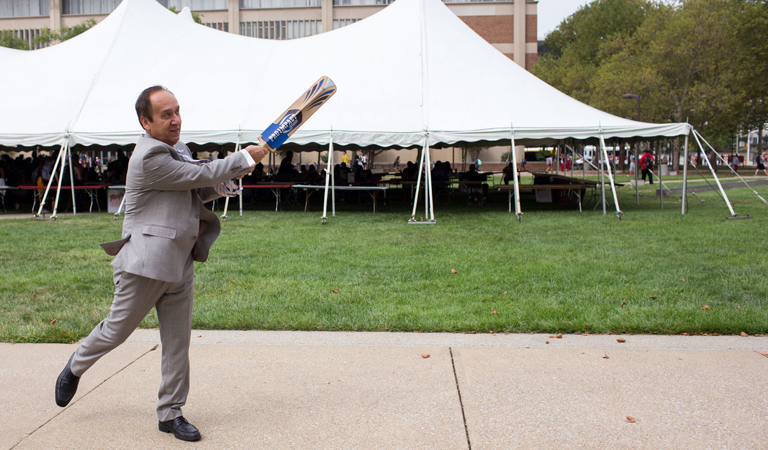 IUPUI Chancellor Paydar shows off his cricket skills at the Ice Cream Social during the 2017 Weeks of Welcome. 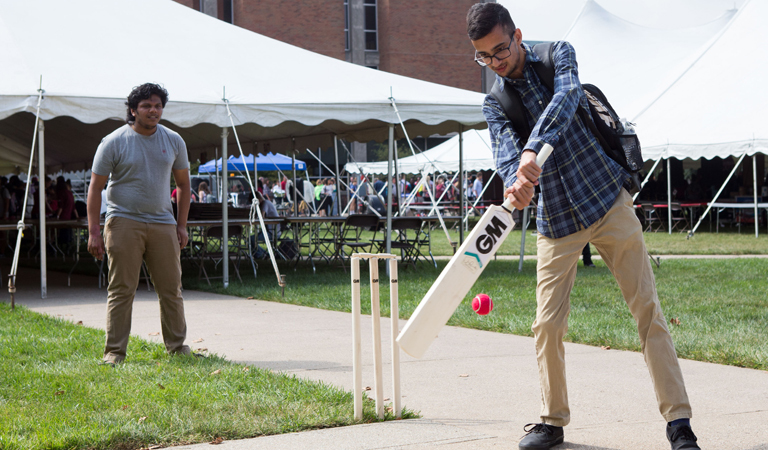 IUPUI Students engage in a friendly game of cricket at the Ice Cream Social during the 2017 Weeks of Welcome. 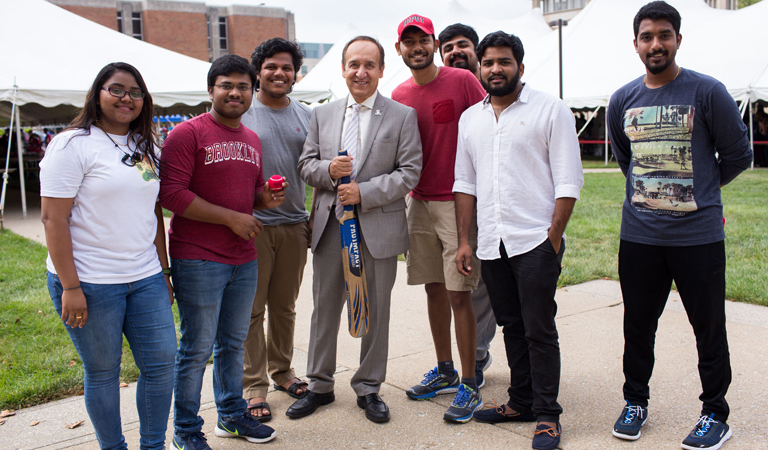 IUPUI Chancellor Paydar plays a friendly game of cricket with students at the Ice Cream Social during the 2017 Weeks of Welcome. 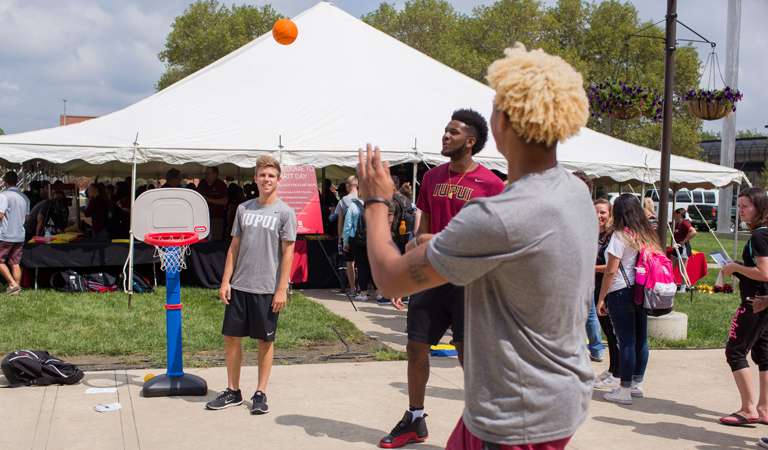 IUPUI Men's Basketball team members shoot some hoops on the miniature court at the Ice Cream Social during the 2017 Weeks of Welcome. 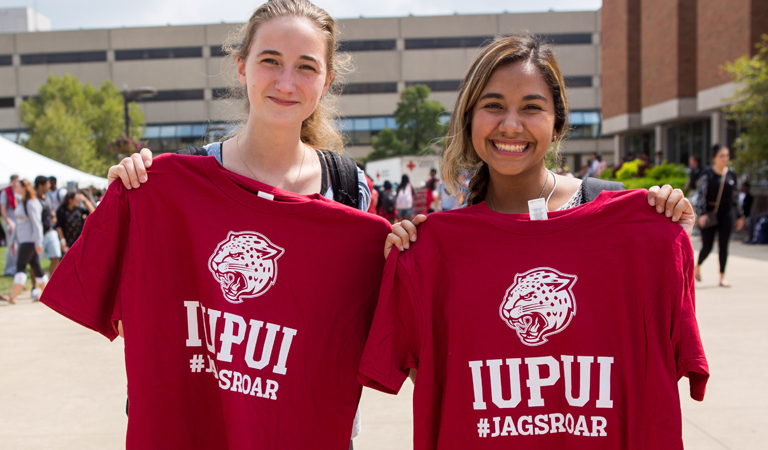 IUPUI Students show off free tees at the Ice Cream Social during the 2017 Weeks of Welcome. 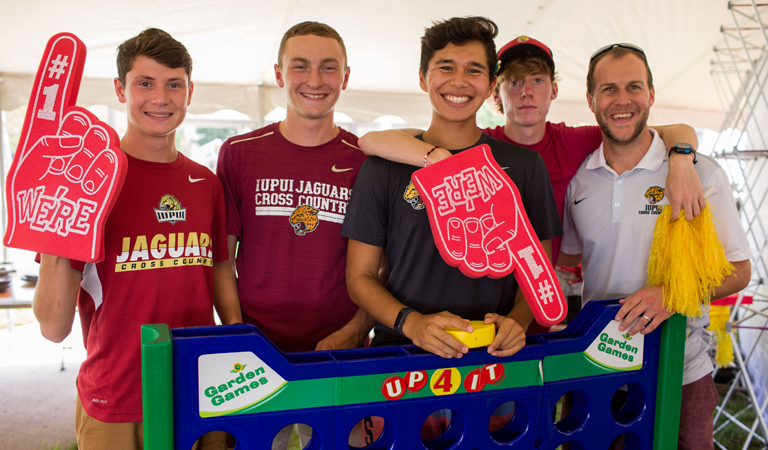 IUPUI Men's Cross Country team members play games at the Ice Cream Social during the 2017 Weeks of Welcome. 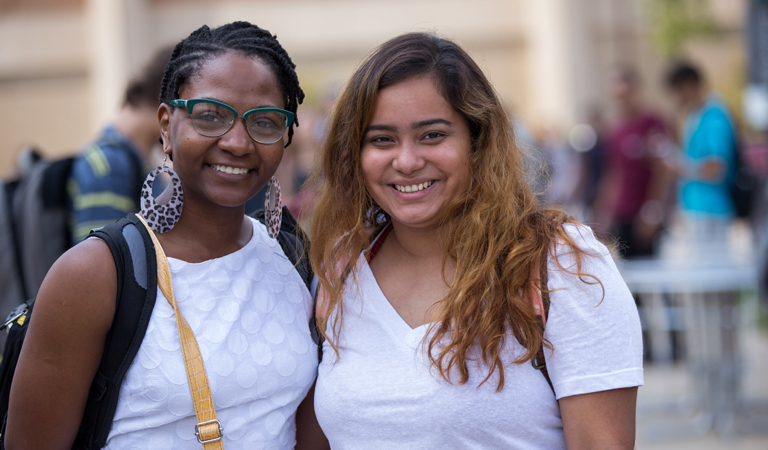 IUPUI Students meet friends at the Ice Cream Social during the 2017 Weeks of Welcome.